It’s nearly the weekend and that means waffle time! Although, don’t judge me, but I eat waffles during the week too. I am trying to show that waffles are no longer a weekend indulgence, but can be an every day healthy breakfast when you make a few little changes. These are also gluten free too, which is an added bonus for me. The day I got a waffle maker was an exciting day in the HHH house (you can tell I don’t get out of the house much). I have been wanting one for as long as I have had my own kitchen, along with a doughnut maker which sadly I still don’t have, although I don’t think I actually need that. 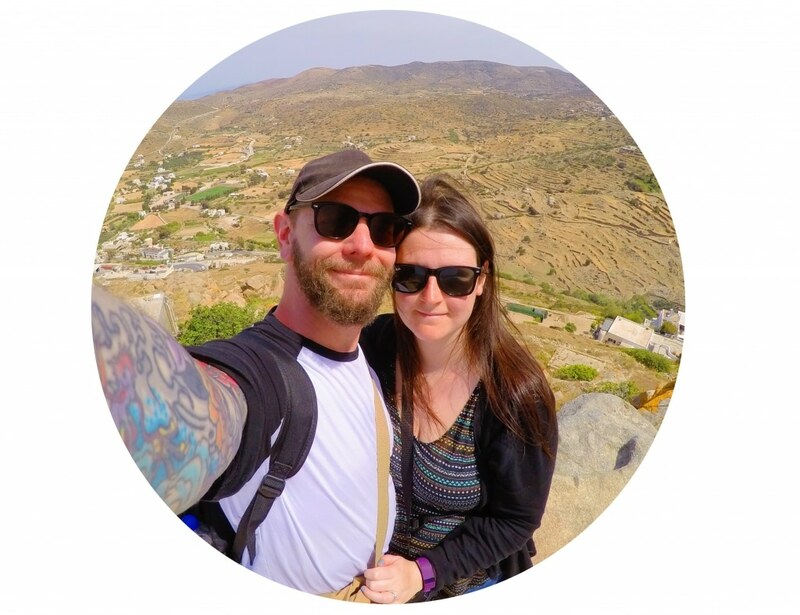 Although waffles aren’t as much a popular breakfast item here in the UK as they are the other side of the “pond”, I am trying to change that. I don’t think a waffle maker should be one of those kitchen gadgets that you buy, use once and then put back in the box never to be seen again. I think it should be left out and used as much as you can. Although don’t go overboard with the waffle eating. I speak from experience! 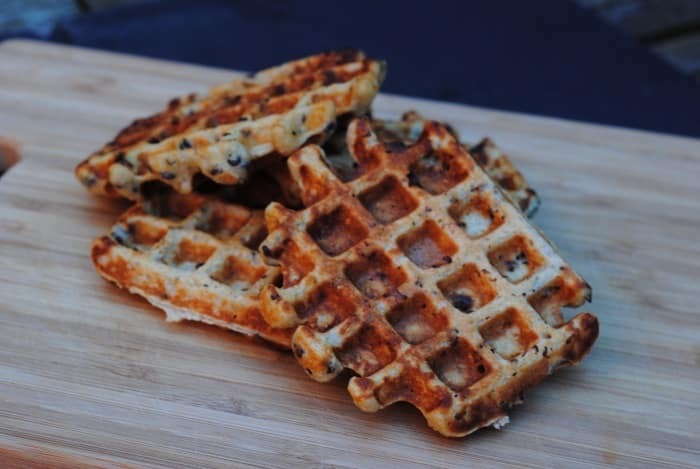 Did you know there is SO much more that you can use your waffle maker for than just the regular breakfast waffles? I have a whole post coming up soon on different uses for a waffle maker. 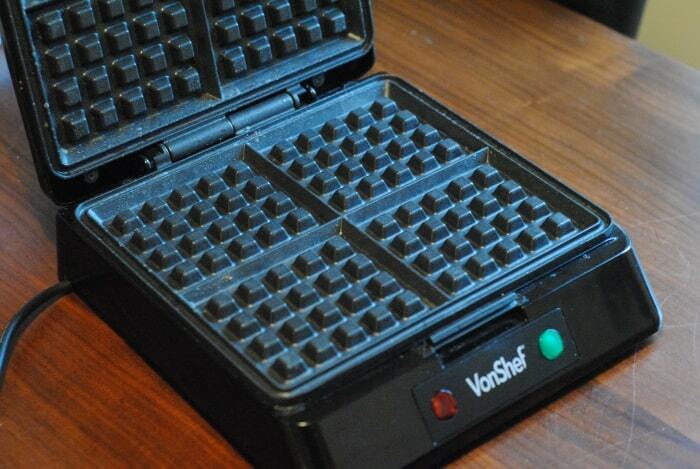 The lovely people at Domu have sent me a few things to try out, but this VonShef waffle maker has to be the best thing I have tried. I am just surprised at how easy it is to use and how quickly it makes the waffles. It cooks them perfectly as well, with no burnt bits – just nice and crispy on the outside and light and fluffy on the inside. The only slight issue I have with it is that the plug wire is really short, but that isn’t the end of the world. Domu have lots of great stuff on their website if you are thinking of buying some new stuff for your kitchen. These waffles made a great post-workout breakfast yesterday, with the added Greek yoghurt being a nice protein hit. 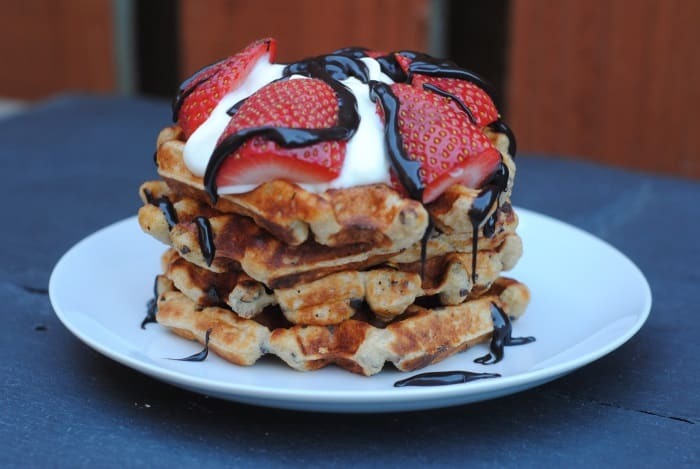 The great thing about waffles though, much like pancakes, is the topping choices are almost endless. 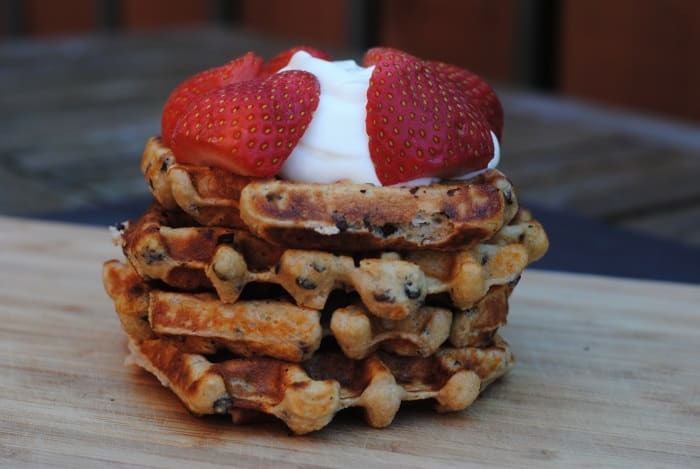 Just make the basic waffles and then everyone can add their toppings. 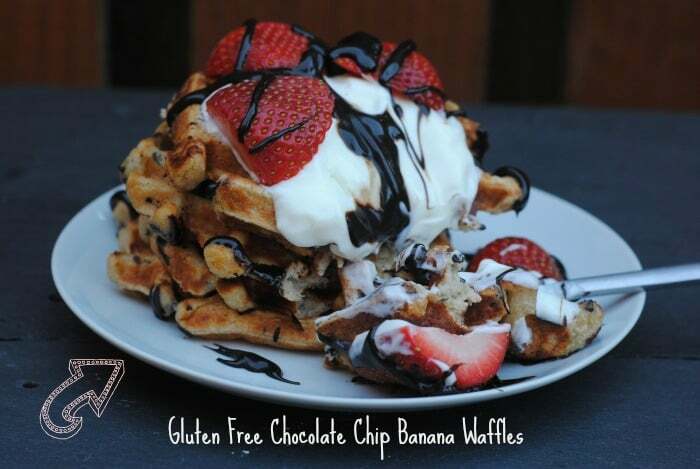 What is all that chocolately deliciousness on the waffles? It’s Choc Shot! If you haven’t tried that before, buy it! It’s chocolate sauce made with fruit. 1) Put the oats in to a blender and blend until a flour consistency. Put in a bowl with the baking powder and salt. 2) Mash the banana and add the whisked egg, milk, yoghurt, chocolate chips and vanilla and add to the oats and stir well. 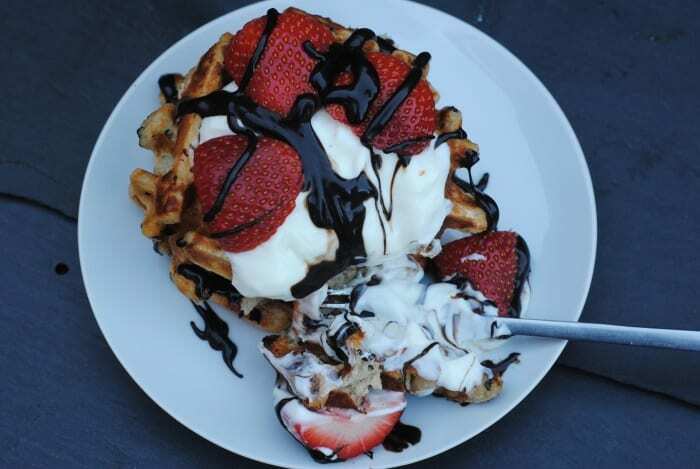 What are your favourite waffle and pancake toppings? I made these again at the weekend. I love them.